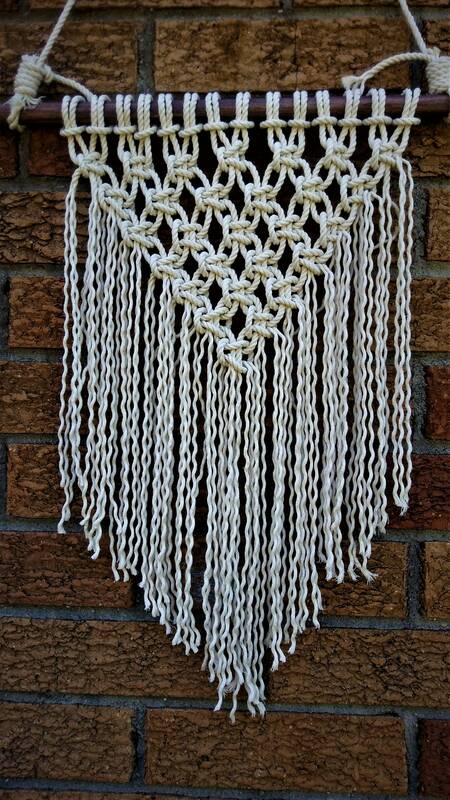 This cute macrame wall hanging is hung on a wooden stained dowel that is about 19 inches in width. The entire piece is about 30 inches from top to bottom when hung. 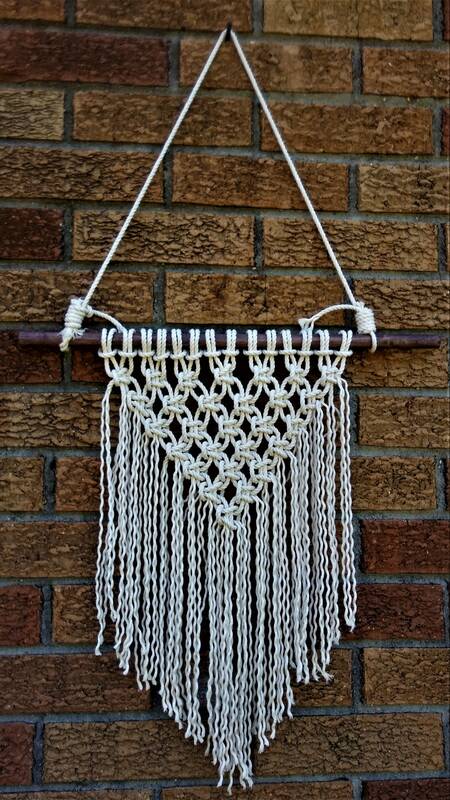 This piece would look perfect in a nursery or living area.